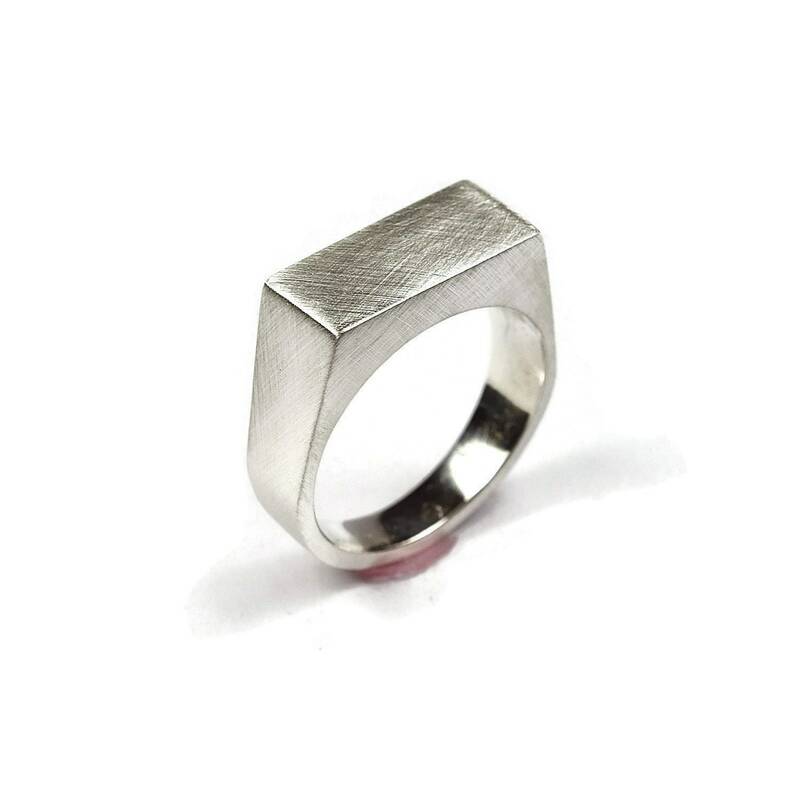 This mens custom matte signet ring is made of sterling silver and designed for men and women. 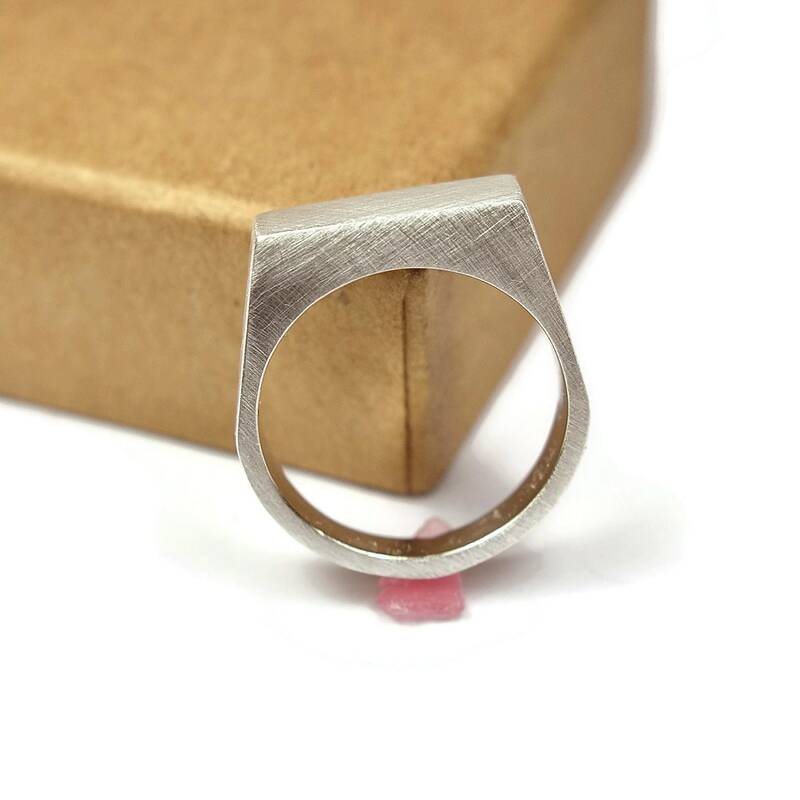 It has a smooth texture giving it a classic look and the matte finish gives a modern appearance. 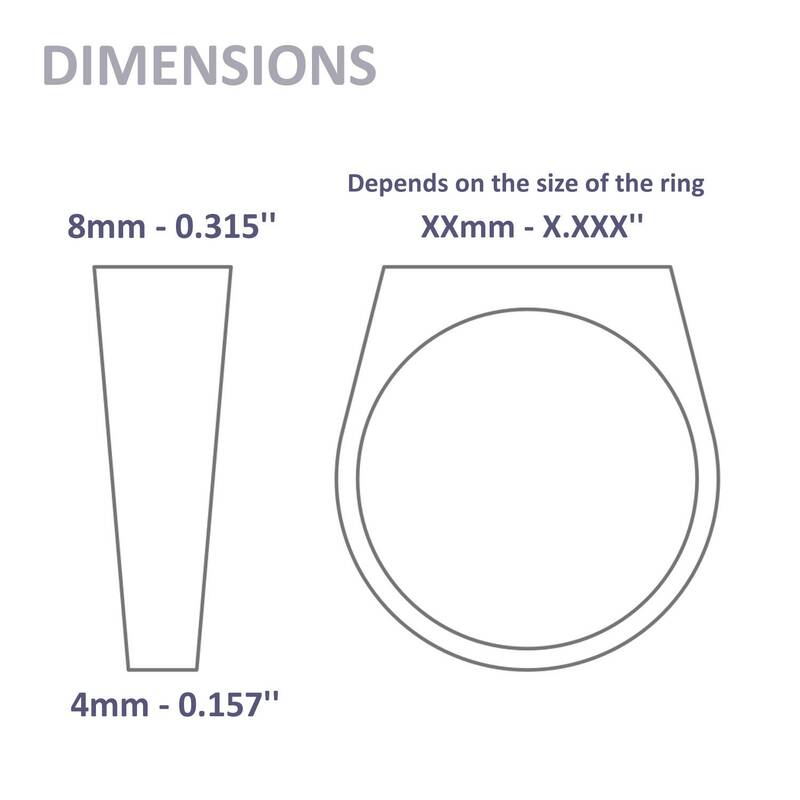 It measures 0,31" (8mm) in width. 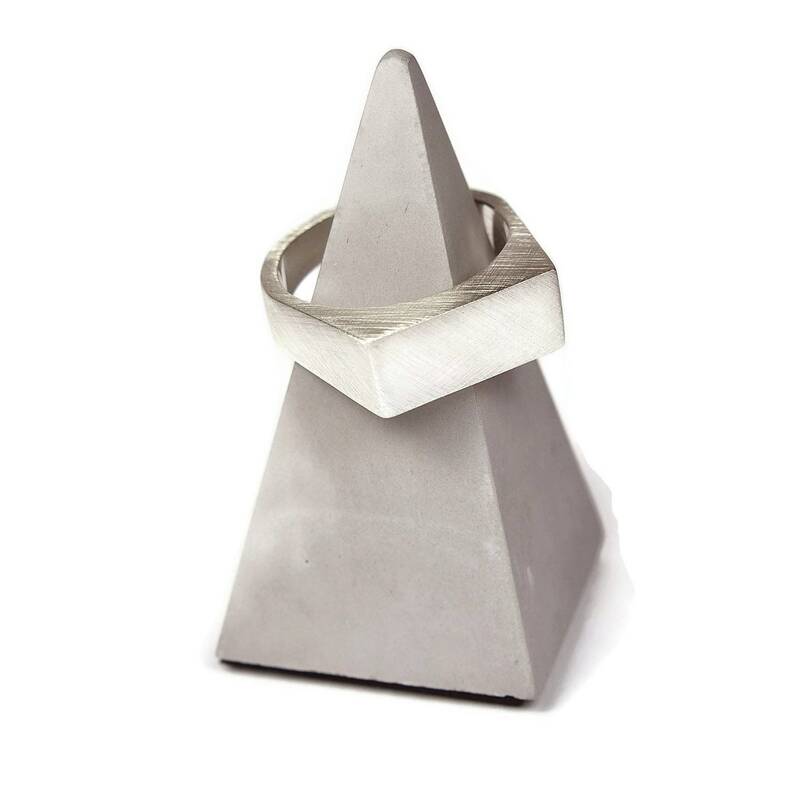 PERSONALIZATION (Outside Ring). 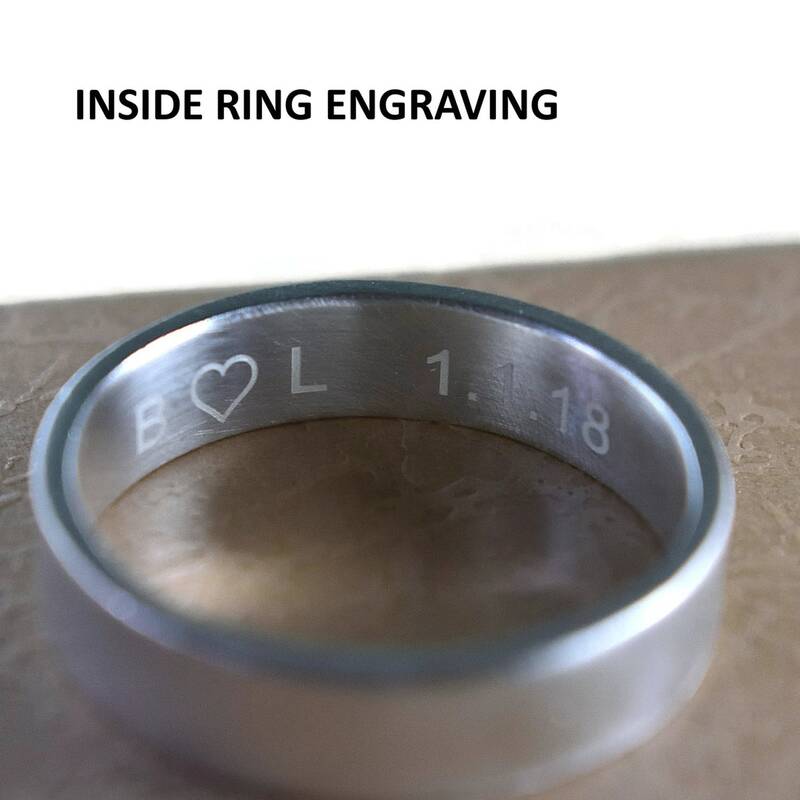 You can customize outside ring with messages, coordinates, name, initials, anniversary or with simple graphic. See example in the photo. 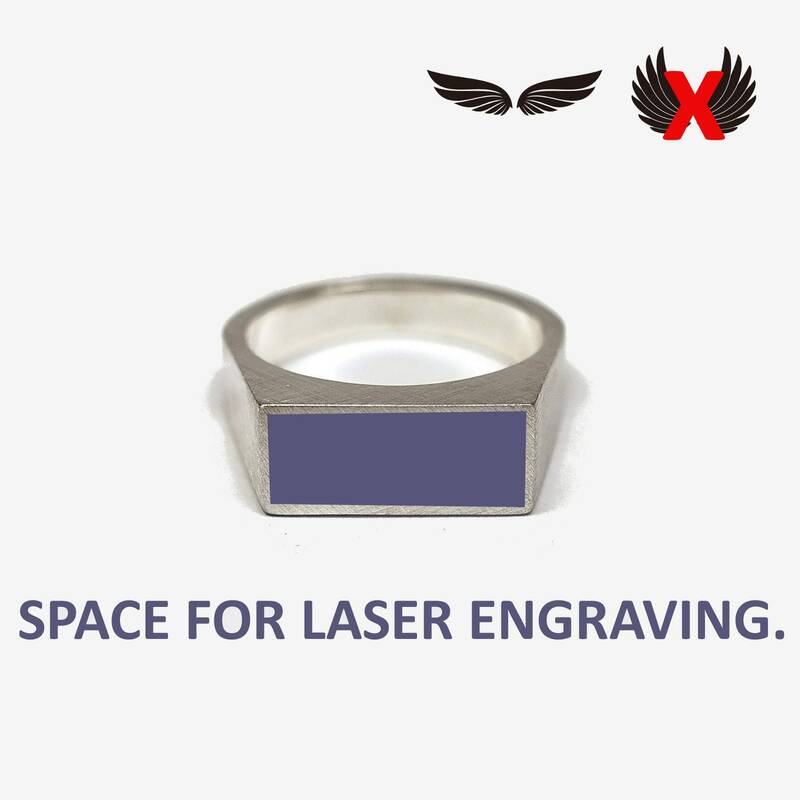 (Laser Engraved customization). When ordering send the text and/or image to customize. 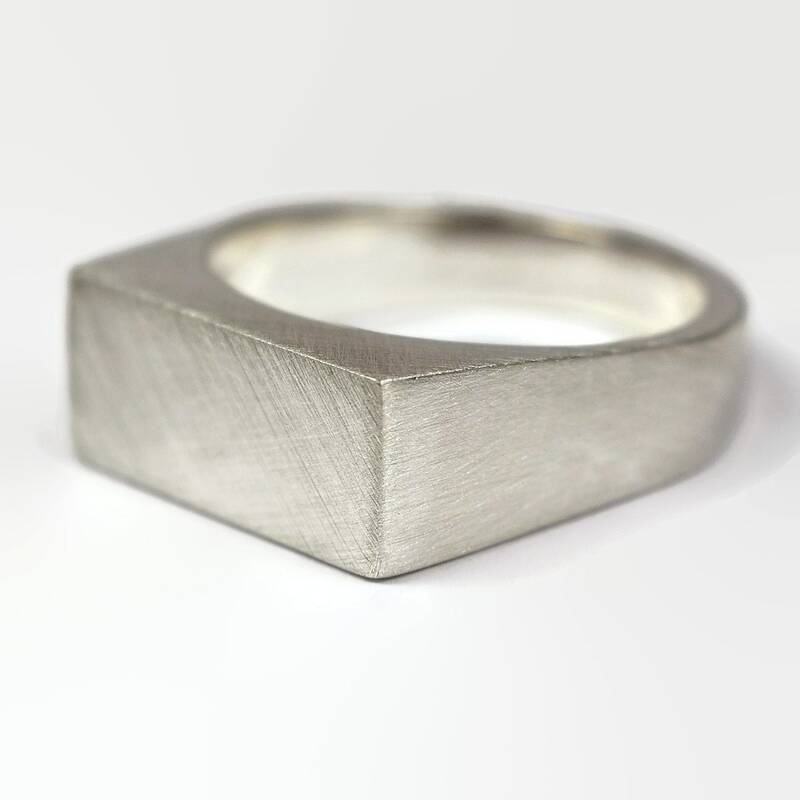 PERSONALIZATION (Inside Ring). You can send up to 60 characters in a note if you buy with inside engraved ring. FABRICATION. Made by hand in my studio. 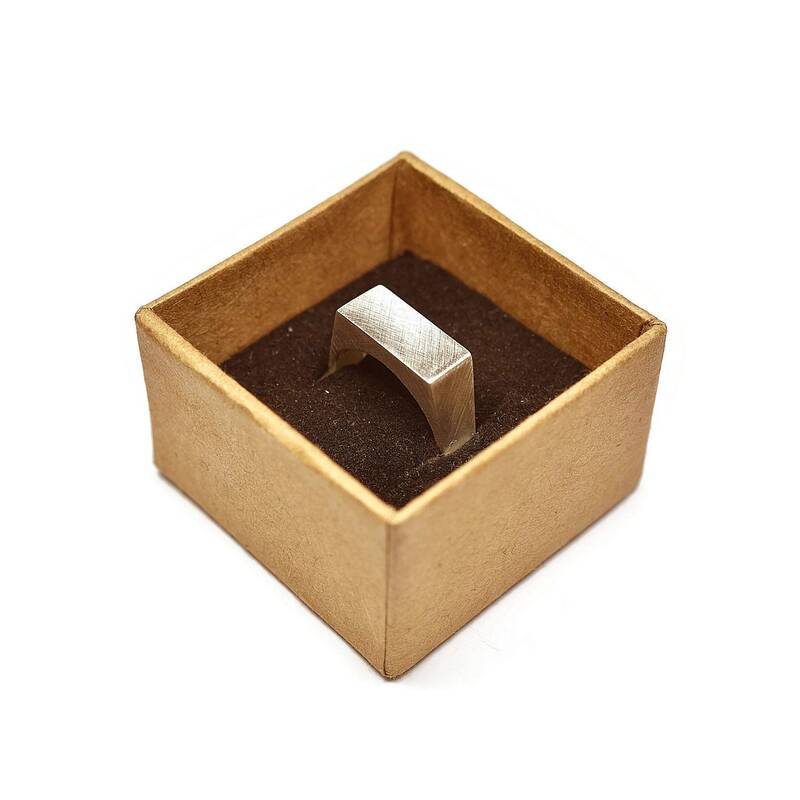 It is manufactured with the lost-wax casting technique and finished with matte finish. 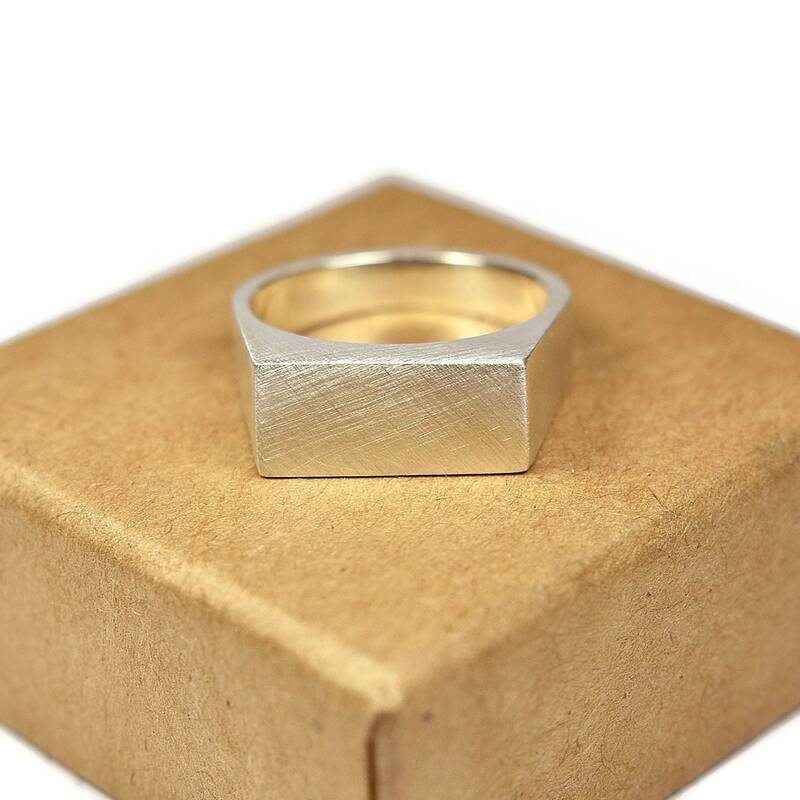 Each signet ring is unique. There are no two equals in the world. 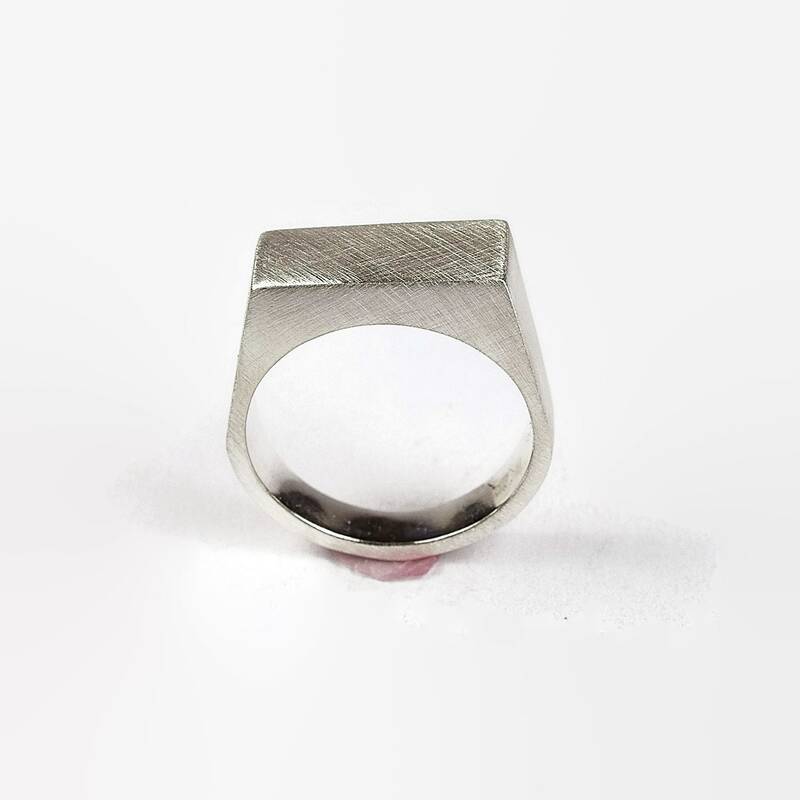 If you buy this mens signet ring I wish you enjoy it. Makes a great gift for him!